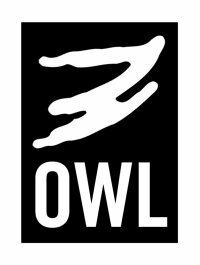 OWL (Our Whole Lives) combines accurate and straightforward information about sexuality with a set of core values: self-worth, sexual health, responsibility, and justice & inclusivity. 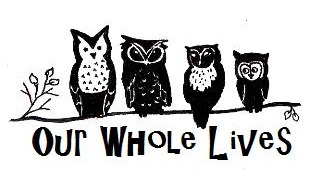 Facilitator Training is for those wishing to lead an OWL class in their community or congregation. The training gives future facilitators the tools they need to properly and effectively teach the OWL curriculum. Individuals and congregations need Facilitator Training to prepare staff and volunteers to lead Our Whole Lives in UCC and UUA congregations. Facilitator Training is also a worthwhile investment for community organizations who are offering or planning to offer sexuality education. Trainers for this event are Molly McNamara and Karen Richter. Registrants will receive communication from the trainers to help them prepare as the event gets closer. Also, facilitator training includes an evaluative component. Participants will prepare and deliver a sample lesson as part of the weekend. This training is for grades 7-9 and 10-12. Our host facility is Shadow Rock United Church of Christ in Phoenix, Arizona. It begins February 8th at 1 pm and concludes February 10th at 2 pm. Meals (1 on Friday, 3 on Saturday, 2 on Sunday) are included. Requests for home hospitality should be made by January 10. Registration is $250 which covers meals, materials, and training. Participants should also plan to bring their own copies of the Our Whole Lives secondary curricula available at www.uccresources.com (under curriculum) and www.uuabookstore.org. Are there any other restrictions or accommodations we should know about? Ready to pay? Click the “payment button” and you’ll be taken to a “donation/payment” page for Shadow Rock UCC. Scroll down to find “registrations” and you should see the OWL Facilitator Training listed. Click the appropriate quantity, and then follow the rest of the directions given. If you need assistance or have questions, please email Finance Officer Heidi Zinn via Heidi@shadowrockucc.org. Questions? Looking to find out more?